If your new in crytocurrency investment or your still battling with which one of the coins to invest on we will guide you through your journey of buying and selling coins this year, so I guess you’re in a the right place all you need to do is just to back, relax and follow our daily blog post. First of all, before you venture into cryptocurrencies you must have heard about the success story of people who was there, and these stories has inspired you even the more. secondly we must be guided properly through on which coin to invest on. thirdly you must study the market to know when to buy and when to sell in other to maximize your investments. Before you go ahead the first thing you will do is to create a free wallet at blockchain using this link below www.blockchain.info the wallet you created will be use to send and receive bitcoin, Etherum and bitcash, so once you log onto this site your will see an icon on the top right saying create a free wallet. After you created the wallet all need to do is to follow some security procedures to secure your wallet against thieft, if possible, better print out a copy of the security recovery question, wallet ID and wallet address or write them down in the case of any security issues. 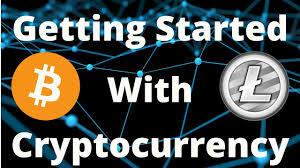 So this is all you need to get started with crypto currency next, I will show you how you can send and receive coin using your wallet. Please Stay with us and like us on facebook. Leave us a comment and we will be glad to answer all your questions related to this topic. ← How To Completely Block BitTorrent On Your Network. I am unfamiliar with cryptocurrency. It sounds interesting. Definitely a topic I don't know anything about but nice to learn a little bit.